The Mini Hudson Pendant light by Tech Lighting is simply sophisticated featuring a clean pure design and adorning metal cap detail. Scaling at 3.7“ inches in width and 10.4” in length the Mini Hudson Pendant is ideal for kitchen island task lighting, bedroom lighting and home office lighting. Take the Mini Hudson Pendant into other spaces by paring it with the Hudson Wall and Hudson Pendant also available from Tech Lighting. Available lamping options include LED or no-lamp allowing you the option to light this fixture with your preferred lamping. All lamping options are fully-dimmable to create the desired ambiance in your special space. For a list of compatible dimmers please refer to dimming chart for more information. 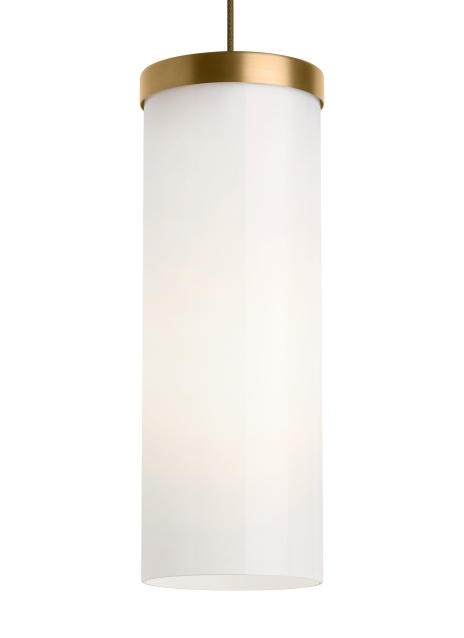 Includes low-voltage, 50 watt halogen bi-pin lamp or 8 watt, 300 delivered lumen, 3000K, replaceable SORAA® LED module and six feet of field-cuttable cable. Dimmable with low-voltage electronic or magnetic dimmer (based on the transformer).